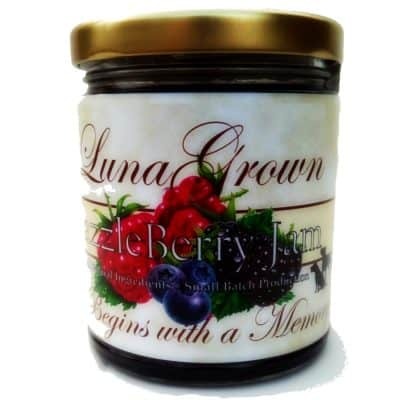 This is one of our favorite autumn recipes utilizing LunaGrown Jam. 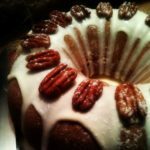 Rich moist spice cake can really make your day special on cool fall mornings. Especially if it comes in the form of a gift and this cake makes a perfect treat to share. In November of 2013 I received this spice cake as a gift, then made with LunaGrown Spiced Fig Jam. Here we are three years later and that gift has become a tradition for us. Each year we try to find a new way to enjoy it. This year we have made our spice cake in a sheet pan and served it cut into cubes. We have included some home whipped cream, additional LunaGrown Raisin Jam and some cranberries to balance the sweetness with a bit of tart. One of the nicer things about this spice cake is its versatility. 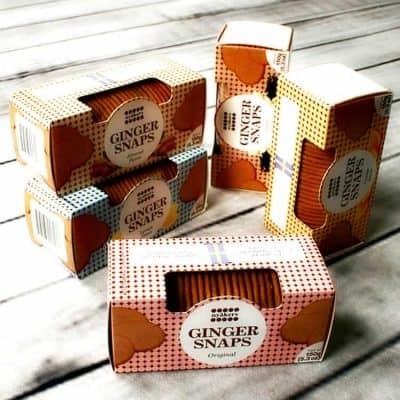 While we enjoy it with the addition of Gingersnaps and hot tea it would be equally enjoyable with Orange Marmalade and a small snifter of brandy. Perhaps a cup of hot cocoa, and a chocolate peppermint stick would better suit this cake on a snowy afternoon. Since it’s lower in sugar than many cakes, it’s perfect with just a pat of butter on those days you are in a hurry. This cake makes a beautiful and memorable gift. No matter how you choose to enjoy our Autumn Spice Cake you’ll remember it the year through. 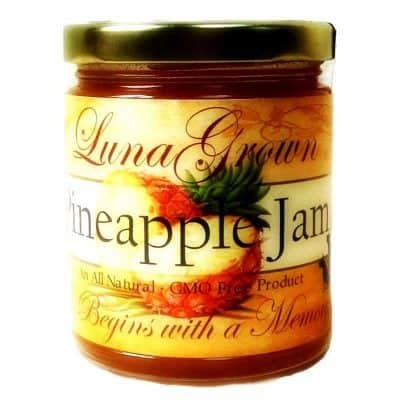 Quite possibly you’ll bake an extra one and give it with a jar of LunaGrown jam, making someone feel remarkable this autumn. A beautiful way to say ‘Thank you’ to someone who has gone out of their way for you is to bake them something nice. We hope you make this enchanting spice cake part of your autumn festivities. another one of our cool weather favorites are these delightful cinnamon buns. 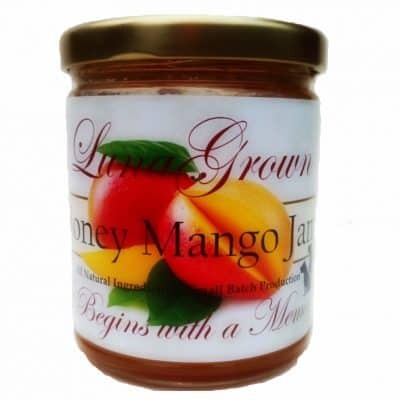 Serve them hot with your favorite jam for a special treat! A delicious moist spice cake made with jam. 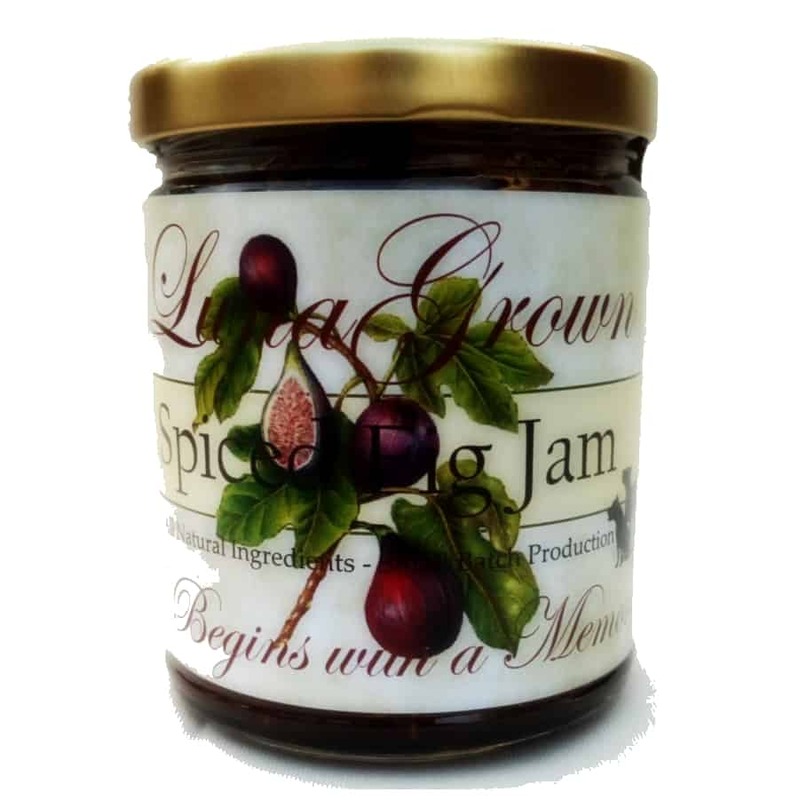 Choose your favorite to use, ours are Apple Jam, Raisin Jam, or Spiced Fig Jam for that special occasion. Easy to make. Great as a gift. Memorable to serve. Grease or spray with baking spray a 9 x 13 inch pan. Combine flour, sugar, baking soda, salt, and spices in a large mixing bowl; add oil and beat well. Add eggs and beat until well blended. Beat in buttermilk and vanilla. Stir in preserves and chopped pecans (nuts optional). Pour into the prepared baking pan; bake for 35 to 40 minutes, or until a toothpick or cake tester inserted into the cake comes out clean. Just made this with the raisin jam, serving it with cream cheese. Brilliant!